I started plucking my eyebrows when I was 12 or 13 years old. Figuring that I knew what I was doing, as most adolescents mistakenly figure, I didn’t consult my mom, an experienced friend, or even a fashion magazine for guidance on how to shape my naturally bushy brows. In fact, I was quite secretive about my plucking, believing that if I didn’t say anything, no one would notice as I slowly whittled away at my eyebrows. Now when I look back, I wish I had never laid a finger on my arches. 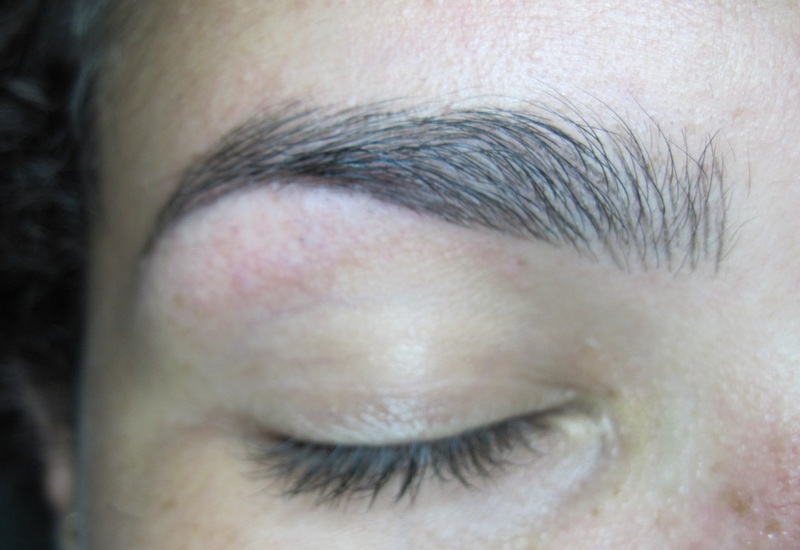 But there is a solution for those of us who are wishing we could recapture our eyebrows natural lushness or who weren’t working with much from the start: The Browhaus Brow Resurrection. 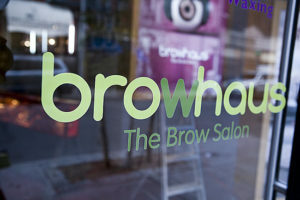 So here is the low-down on this fabulous signature service offered by Browhaus SoHo, a New York City salon specializing in the shaping, waxing, threading, tweezing and tinting of eyebrows that landed in the states just over a year ago. 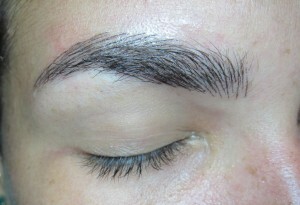 Originating in Singapore, where all of the brow “architects” receive an intensive month-long training on the art of brow design, the salon operates on the theory that each person, no matter if their brows are sparse or abundant, should have the ability to choose the perfect brow shape for them. 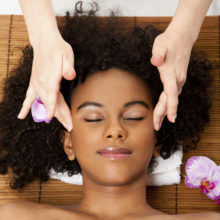 While we know plenty about brow-shaping through hair removal, most people are unfamiliar with the idea that brows can, in fact, be semi-permanently bulked up without having to apply powders, pencil, mascara or other brow fillers to achieve that Brook Shields fullness. 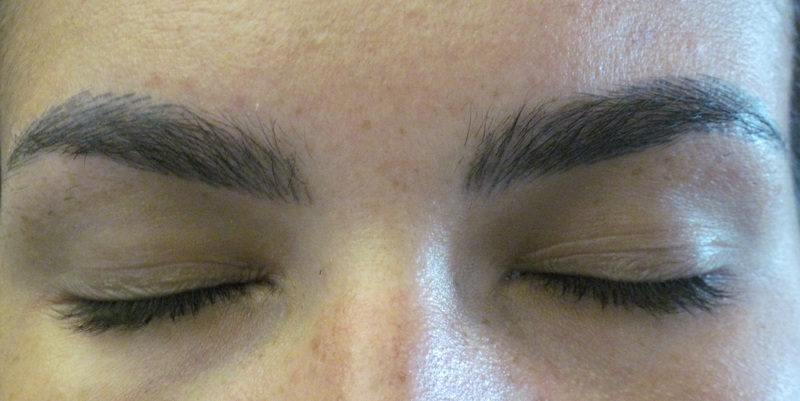 The Brow Resurrection is an eyebrow enhancing treatment that delivers such a solution through a relatively simple, semi-permanent tattooing process. 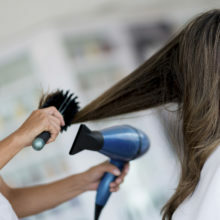 During the Brow Resurrection each client is given a consultation with one of the salon’s expertly trained technicians. Upon my arrival at the salon, I checked out some of these ladies’ handy work—every gal in the place had perfectly natural-looking brows that had been enhanced by the Ressurection. I showed Michelle, who would perform my Resurrection, a couple of photos of beefy brows I envied and she got to work drawing into my eyebrows a shape that she thought would complement my features. They were perfect; she is truly a brow artist! 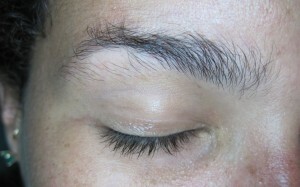 Brow before shaping and shading. Then the process begins: a numbing cream is applied and after a short time, Michelle got to work making a series of very small, shallow scratches that taper to look exactly like individual hairs. 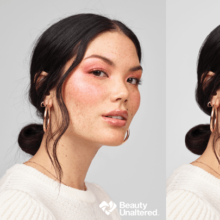 A soy- and vegetable-based dye is applied to the tiny abrasions—the plant-based ingredients and non-metallic nature of the dye makes it safer and delivers a more natural appearance. After a little more than an hour (during which numbing cream is reapplied to ensure comfort) I was able to check out my new look. If I’m being completely honest, my initial reaction was shock. The brows were so dark and of course, because she had been scratching away for over an hour they were quite swollen. The shape was amazing, but the impact of the dark brows was startling, and considering the results can last up to two years, I found myself having a bit of an “uh-oh” moment. I was assured that they would fade a bit after the healing process was complete (there is a bit of scabbing that takes place quite quickly) and one week later, I’m enormously pleased with natural looking the results! At $925 for the semi-permanent treatment, this isn’t for the faint of heart or the fickle. Perfect for men and women with all types of coloring and levels of brow density, the Resurrection service at this SoHo salon can completely transform your look and we’re sure you’ll love it! 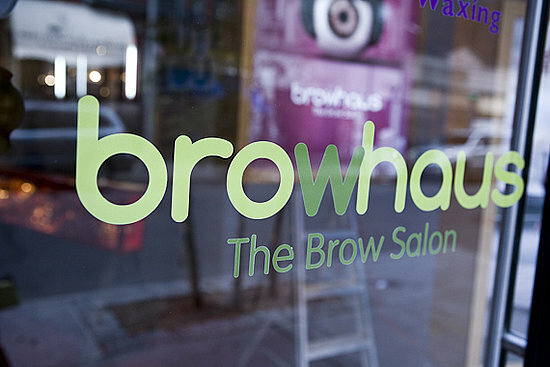 To learn more about the Brow Resurrection at Browhaus SoHo (the only location in the U.S.), visit Browhaus’ website or schedule a consultation.